We are so looking forward to introduce Easter activities to our 14 month old baby. For her first Easter last year she was just a baby, to young to actively participate, but now she repeats almost everything she sees, so curious and playful, and loves helping me in housework. So I bet she will enjoy preparing natural easter egg dyes with me this year. For now I just wanna give you some ideas what can be used for natural dyes using vegetables, fruits or spices you already have. Well, we used to be vegans for couple of years. We followed Easter tradition but without real eggs. I was totally happy with that. I would make Easter and spring decorations and just used styrofoam or wooden eggs to decorate. But over the time, after we moved from Europe to North America, which was a huge change, we had hard time finding quality or trustworthy vegan products. And than my pregnancy and a little baby came. So we decided to make compromise and over time became vegetarians, which was not so easy. Now we consume eggs, yogurt and cheese (but no cows milk!). I still have second thoughts and feel kinda bad knowing that hurt animals too, but as I sad, we made compromise and just try to live with that for now, and whenever we have opportunity we buy from local farmers. I know lots of people these days are preparing for Easter but more and more of them are looking how to naturally dye eggs. 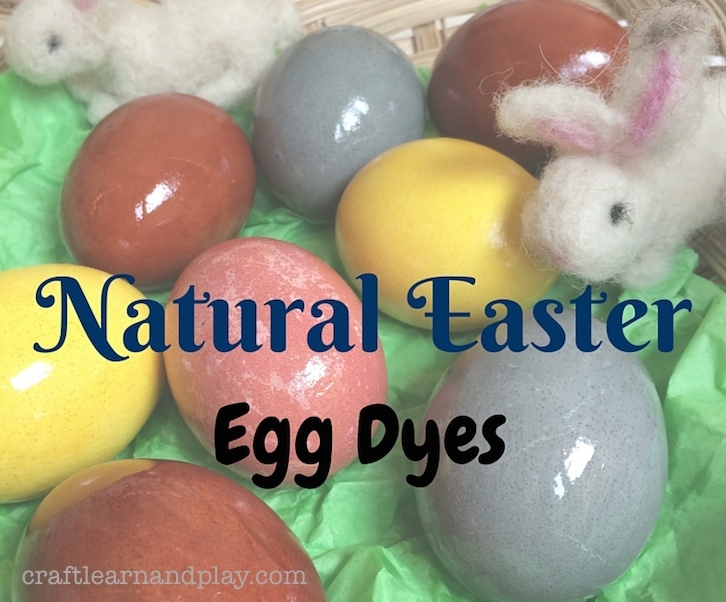 There are several reasons why I would recommend natural egg dyes. First of course, it is much healthier and you can actually eat eggs without worrying about ingesting chemicals. It is much cheaper too. You won’t throw away eggs dyed naturally and any egg wont be wasted or thrown away in garbage (unfortunately many people dye eggs with artificial colours just for decoration and won’t eat them). For most of the colours you can use vegetables, fruits or spices you already have in your kitchen. You don’t have to worry, eggs won’t taste like food you used for dying. And the last one, making Easter eggs with your kids is such a fun family activity. Depending on their age they can participate helping, have fun, learn colours and even can have science experiment when you are done dyeing, with mixing colours to see what will they get. 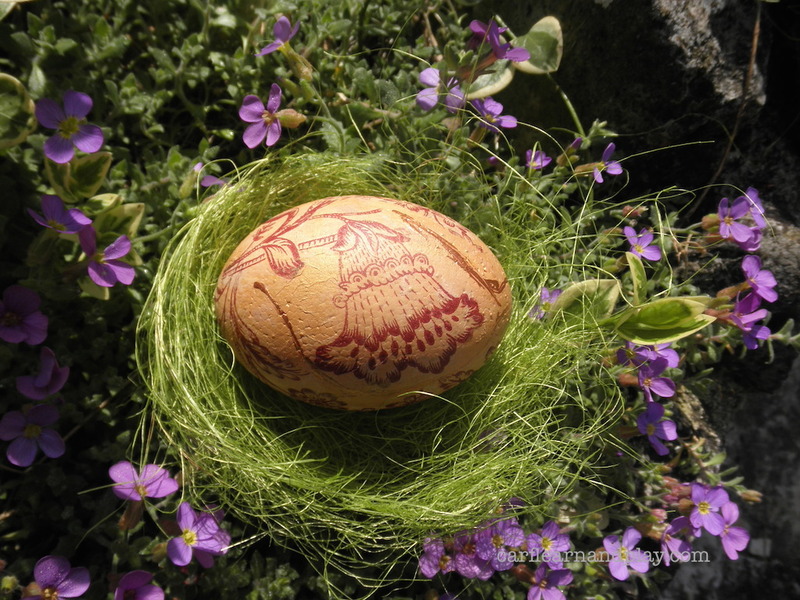 Last Easter, after a long time, we had decorated eggs. I made just a few knowing how much we are gonna eat in a day or two and won’t have to throw any away. My grandma, and my mom, used natural easter egg dye. They dyed eggs with onion skins since I can remember and it was part of a tradition. 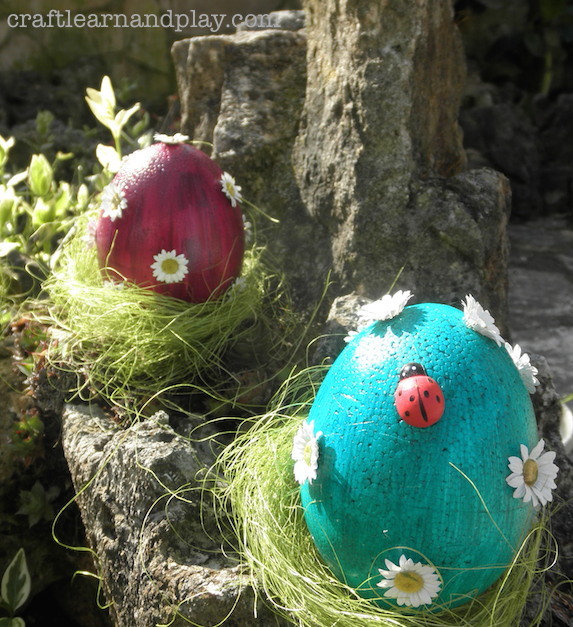 They always had pretty eggs using simple technique with flowers, leafs or plants from a meadow or even parsley leafs. Unfortunately I don’t have any photos to show you but if I do some this year, will definitely share with you. For now you can use easy to follow tutorial from Ulicam , it is similar technique, and you won’t believe how these eggs turns beautiful. Now, the easiest and the quickest way is to add your materials to water and hard boil eggs in that water. I use approximately two cups of water and around 1/2 – 1 cup of sliced vegetable or fruits. For powdered spices I will use 2 tablespoons. After eggs are cooked add 1 tablespoon of white vinegar and leave them to cool down sitting in water for hour or two. The longest they sit in water the deepen colour will be. If you wanna check, you can gently take out egg with spoon and see if you are satisfied, if not just return the egg in the water and leave it for a little while. Also there is difference in white and dark shelled eggs. You may combine both and experiment. When you are satisfied with the colour, take the eggs out, let them dry on paper towel and rub egg with olive oil. Oil will make them shiny and bright. So there you go, I think it is pretty simple. Looking forward to this years natural Easter and can’t wait to try out even more food based egg dyes. What about you? Do you dye easter eggs naturally? If you have some more suggestions to make colours I haven’t mentioned in this post, please share with readers. I would love to hear it too.